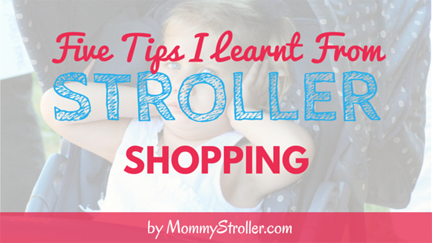 As any new mom will tell you, shopping for strollers isn’t an easy job. Many of my friends ended up spending money they didn’t have, on strollers they didn’t need. 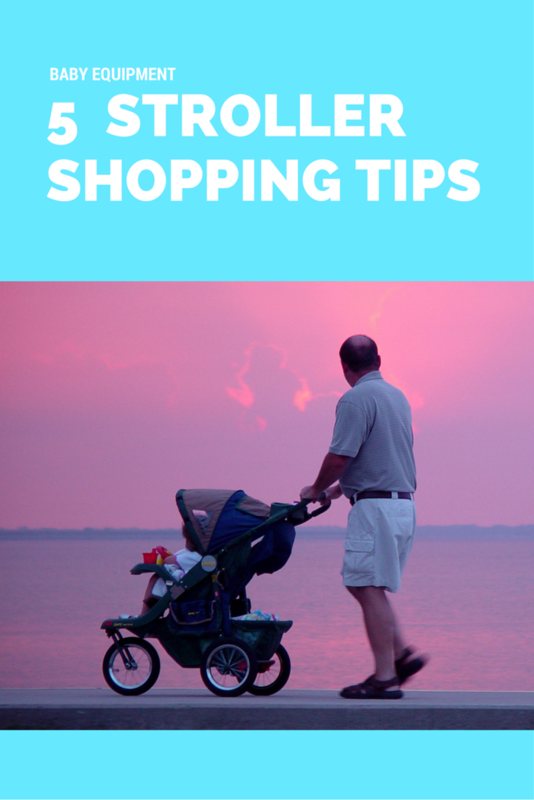 To ensure that you don’t make those same mistakes, here are five tips learnt first-hand from stroller shopping for my own children. 1. Don’t spend a fortune on an expensive stroller right after your baby is born; instead, go for a frame carrier. Even with a hundred dollar budget, you will find enough choices both online and offline. Perfectly compatible with your car seats, a frame carrier will serve you well for the first six months or so. 2. If you are planning to get a full-featured or an expensive stroller, make sure that you consider all the options you have and weigh them against each other. This will allow you to determine and think about the features that you and your baby would benefit most from before you actually make the purchase. 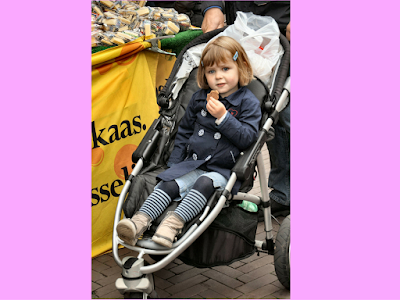 Always ask yourself questions to figure out if the stroller is the right fit for you. 3. A heavier stroller will definitely make the ride steadier for your child, but you must also consider things like how often you might need to use the stairs or lift the stroller in and out of your car. 4. I did not have anyone to guide me when I became a first-time mother, but you might. If you are lucky enough to know an experienced mom well enough, do ask for her advice. If she just happens to live a lifestyle similar to yours, even better! 5. Be careful with what you spend your money on. For example, a very expensive shock-absorbing stroller sounds like a great idea to cushion your baby from feeling the bumps on the surfaces. However, ask yourself if the surfaces you usually travel on is really that bumpy to begin with. The bottom line is if you shop smart, hunting for strollers can actually be enjoyable and fun, rather than a headache. Evelyn Taylor is the main person behind Mommy Stroller, which focuses on helping parents figure out which stroller they should get. Evelyn and her husband, Paul, decided to blog about strollers after the overwhelming feeling they experienced when trying to pick out their first stroller. Both of them enjoy spending time with family and friends, live music, and going on jogs with their kids (in strollers, of course). FTC Disclosure: Evelyn Taylor provided the content plus images via Morguefile for this post. However, no payment or other compensation was exchanged in connection with this post. See complete FTC Disclosure information that appears at the bottom of MommyBlogExpert's home page and at the bottom of every individual post on this blog, including this one. I definitely agree with asking a more experienced Mom what they like to use. It's a tip that has absolutely saved me from making poor choices and also made me change my mind for the better on other items. These tips would have been very helpful when we first had our daughter. We ended up having a big heavy stroller that could fit her carseat and can convert as she got older. As she got older, we wanted something less bulky and lighter, so we got another stroller that was smaller and more compact. These are great tips- especially the one about thinking about the features you want. When I bought a new stroller it had to have a very large basket underneath and two cup holders! Outstanding tips! I didn't have any guidance at all and I didn't know to really ask. I bought a really good one, but it was probably more than I needed to spend. I would have liked to see these tips years ago when my children were young enough to be in a stroller. You shared some very helpful information.